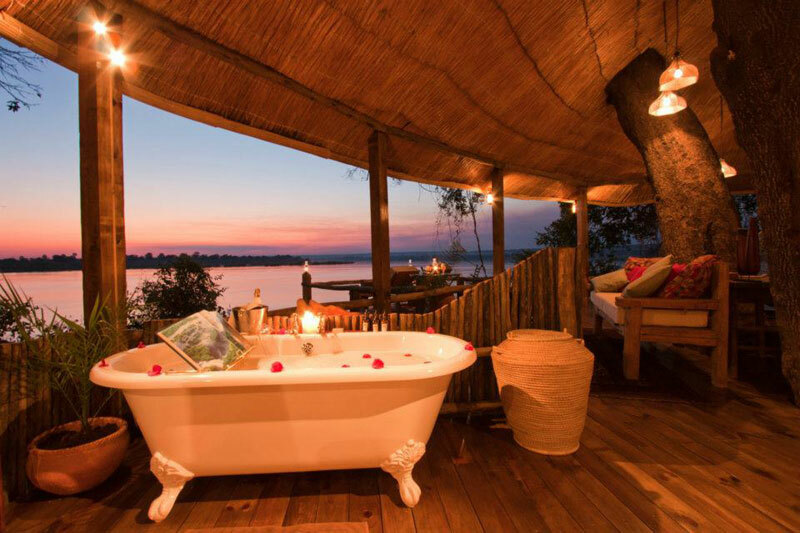 A night spent in a tree house is a magical night… but staying in a tree house overlooking the mighty Zambezi River is an even more thrilling experience. 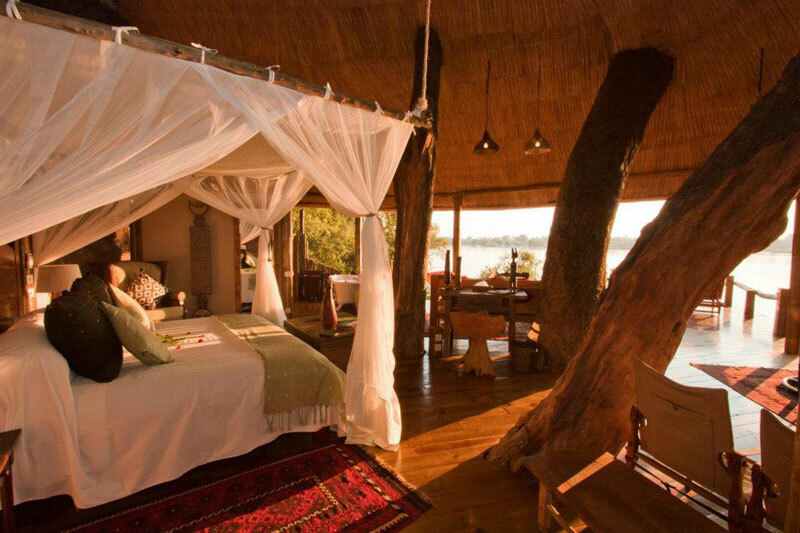 Climb into a nest of romance and relaxation and absorb the true essence of Africa. There are few places where you can feel as much a part of nature as you can here, tucked away up in a tree. Tongabezi Safari Lodge’s tree house welcomes visitors with a warm ambiance and earthy décor. The thick branches of an Ebony Tree cutting through the wooden floor and the inviting king sized bed makes you not want to set foot on the ground below ever again. It is, however, the spectacular view of Zambezi River, forcefully swishing past in front of your eyes that overwhelms even the most experienced traveller with its glory. Look down into the flowing waters and the lush, tropical vegetation from your elevated vantage point and let your senses heighten to absorb the mystical Zambian wilderness. 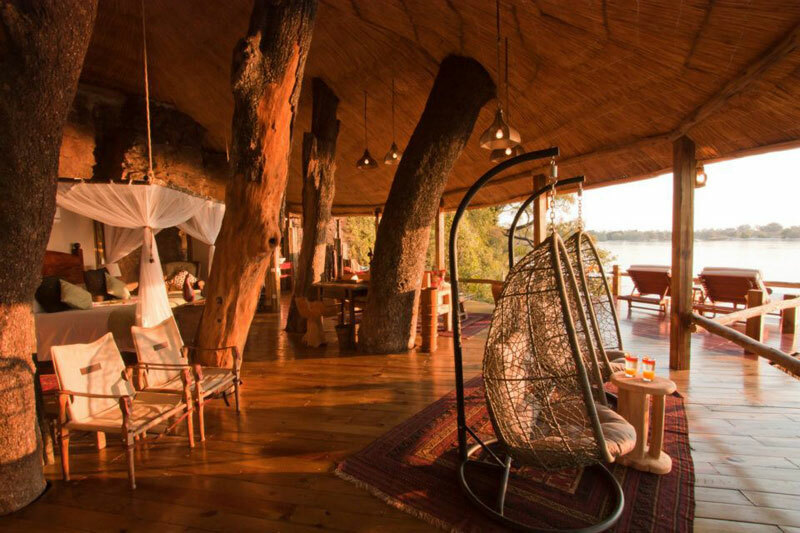 Perhaps the best part of spending a night in an African tree house is witnessing the spectacular African sunsets. Sit back on your spacious deck or take a long relaxing bath while watching the bright African sun slowly decend below the horizon. It is at that moment, in the middle of the Zambian wilderness, where you can forget your worries and fall into a serene safari daydream. If this sounds too good to be true why not give it a try? Click here to make your African Tree House adventure a reality!